New project also offers early bird bonus if you invest before 28th February. Trillion Fund has launched a new three-year peer-to-peer investment opportunity in wind turbines, which promises investors a whopping 7.5% return if they invest before 28th February. After that the rate drops to 7%. Trillion Fund is a crowdfunding platform for renewable energy projects. Projects currently listed on the site include investing in renewable energy in India and solar panels in Berwickshire. It’s regulated and authorised by the Financial Conduct Authority. 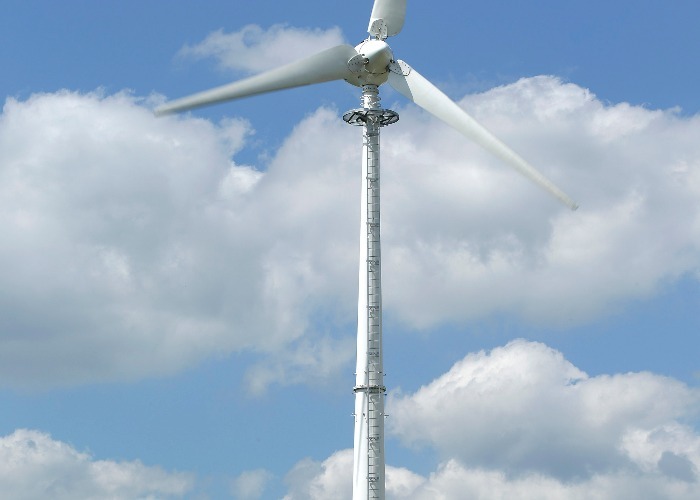 This particular project is from E5 Energy, a wind turbine venture from Endurance (a wind turbine manufacturer) and Earthmill (a firm which operates and maintains wind turbines). E5 is looking to raise a minimum of £1.25 million (up to £2.5 million) from investors, which will then be used to finance the installation of ten turbines on farms across the UK. These turbines will generate enough clean energy to power more than 500 average homes. This is the second time that the firms behind E5 have crowdfunding through Trillion Fund. Last July they looked to raise £1.25 million, and had to close the funding round early as it was oversubscribed, attracting more than 250 investors. Investors can commit as little as £50 to the project. The investment is over a three-year term. Here’s what you should get back after three years, based on a number of different investment levels and whether you get the bonus rate by investing before 28th February. Remember, this is just a forecast. It’s not guaranteed. You’ll get your first interest payment on 31st October 2015, then every six months from then you’ll get a regular interest payment of 3.75% if you take advantage of the early bird bonus rate. There’s no protection from the Financial Services Compensation Scheme here so, as with any investment, there is an element of gambling involved. However, this loan is a little different in that it is "asset backed". Investors’ money will be secured against 10 fully functioning wind turbines in the UK, so some of that risk is removed. The deal is based on very conservative forecasts for the amount of wind at each site from an independent expert. The people behind E5 argue that it is very unlikely that the actual wind levels would deviate so far from the forecasts that it would jeopardise its ability to repay the loans, but it is nevertheless a possibility. Insurance and maintenance agreements are also in place to cover the turbines for the duration of the term. You will have to pay Income Tax on your returns from this investment. Trillion Fund won’t deduct that at source, so you’ll have to declare it on a self-assessment tax return. After six months, you can try to transfer your loan back to E5 Energy, so long as it can find someone else willing to lend a similar amount. However, there’s no guarantee of this.